We decided to do something a little different this week. Partially to just spice things up and keep from being too similar all the time (although last week’s review was pretty far from normal) but mostly because, for the first time since we started this blog, we didn’t have any new wing places lined up for review. A combination of actually sticking to a schedule for posts and missing a wing night here and there allowed us to catch up with our pending reviews, finally. While that is great from a this-place-has-been-waiting-forever standpoint, it is not so good for generating new content. Rest assured that we will be getting back to regular reviews soon and we have some other content lined up as well but for now this allowed me to take a look at something a little different. After spending all of this time enjoying hot wings from some of the finest (and not-so-fine) dives, bars, and restaurants around Phoenix we thought it would be nice to take a look at where the idea for wings originally came from. Take a look and pay our respects. It all started in a place called Anchor Bar in Buffalo, New York. Anchor Bar was owned by Teressa and Frank Bellissimo and was originally established in 1935 but it wasn’t until 1964 that the hot wing was created. As the story goes, Frank and Teressa’s son Dominic showed up late one night with several friends from college. When they said they were hungry Teressa set out to come up with a new snack to tide them over. In a moment of genius that should be glorified by all, she fried up some chicken wings, which before that had traditionally been destined for the either soup stock or the trash, and covered them in a combination of butter and cayenne pepper sauce, specifically Frank’s RedHot. 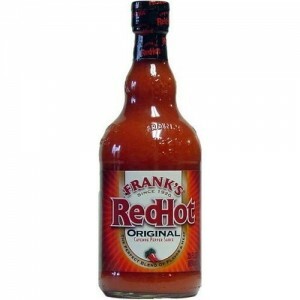 Yep, Frank’s has been THE go-to hot wing sauce since the very start. She served up her creation to her hungry guests with a side of celery and the house blue-cheese dressing. They immediately took to them and the Bellisimos realized they may have been onto something. This was confirmed when the dish started to become famous around Buffalo within just a few weeks. The Anchor Bar’s patron were no longer coming around looking for the Italian food they used to be known for but instead for the singular creation that still draws people to Buffalo. What is surprising to me is just how many of the hot wing traditions were started on that same night. 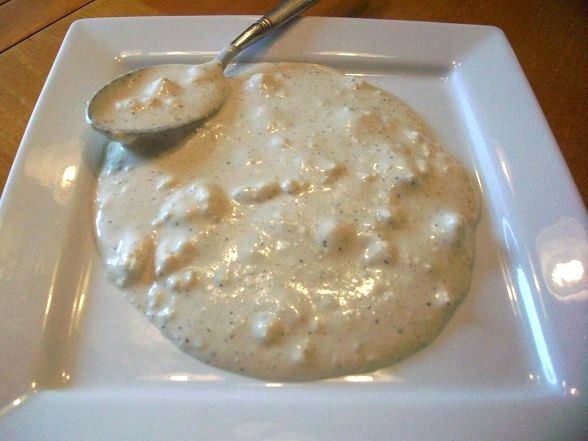 Using Frank’s and butter for the sauce, serving it with a side of celery, serving it with blue-cheese dressing for dipping (although we more commonly see ranch dressing around here). Teressa Bellisimo created something extraordinary that night. Some variations on the wing origin story have come up based of varying accounts from members of the Bellisimo family. According to Frank Bellisimo, the wings were delivered mistakenly in place of the usual chicken backs and necks they used in their spaghetti sauce. Not wanting to use the wings in the sauce he says he asked his wife to figure out something else to do with them. The son Dominic told yet another version. He said he was bartending one Friday night when he asked his mother to cook up something special to give away at midnight to some regulars who had spent a lot of money, and who were predominantly Roman Catholic and as such didn’t meat on Fridays which is why it something like chicken wings would be such special treat once midnight rolled around. Regardless of the specifics, what the stories have in common is that Teressa Bellissimo is the one we have to thank for the almighty hot wing. While other places have risen to challenge Anchor Bar for the crown of Buffalo’s best hot wings, Duff’s in particular is considered by many to be the best in town, when we go out each week (more or less) in our never-ending search for the greatest hot wing joints in Phoenix we have Teressa Bellissimo to thank. 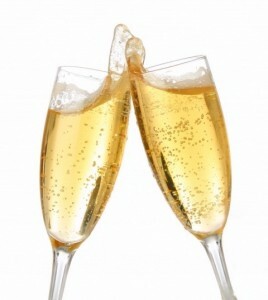 Next time we go out I think a toast in her honor is in order. As we look back at the history of the Buffalo wing, from its humble beginnings to its nation-wide explosion, it only makes sense to take a brief look at the wing as it appears today. What started as the Buffalo wing, a deep fried piece of throwaway chicken tossed in butter and hot sauce, has now become an entire industry and the amount of variety of flavors and cooking techniques is staggering. It’s interesting to note that of the things that made up the original wing, the only thing that still remains the same is the wing itself (and even that is debatable…boneless “wings”, I’m looking at your sorry asses). The cooking methods have expanded. While the deep fried wing is still the most popular wing, there are some out there that bake their wings to remove the fatty oil aspect. There are also grilled wings, combining smokey, barbecue flavor and crisp skin with the beauty of the buffalo sauce. Of the non-traditional deep fry only method, our favorite amongst these has been JT”s combination of deep-fried and then grill-finished wing. The Buffalo wing sauce has also received a massive overhaul from the original, and it hasn’t always helped things. As the Buffalo wing exploded out of Buffalo and onto the national menu, chefs and line cooks and home cooks naturally tried experimenting with flavors and sauces, turning the “Buffalo wing” into the “hot wing”. 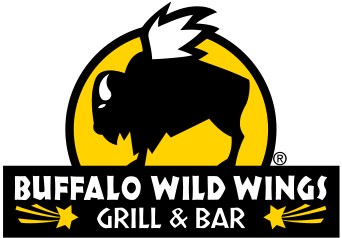 The “Buffalo” in the name became a style of sauce, vinegar and hot sauce and butter based, instead of the default flavor. Honey barbecue sauces and parmesan garlic sauces and all variety of flavors popped up with varying levels of success. We are not here to condemn alternate sauces, mind you. I personally can enjoy a good parmesan garlic or try some crazy habanero-honey concoction as an alternative, and what good is a template if one cannot modify it? There has, however, become an insistence by modern hot wing restaurants to concentrate on a vast array of fruity sauces instead of concentrating on the wing itself. Big chains tend to get below-average sized wings and cook them in massive batches or par-fry them and save them until later, degrading the quality of the wing. The blue cheese originally served with the first Buffalo wings remains a must in New York, but as it spread across the Midwest and on to the Pacific coast a new condiment took hold. The ranch craze of the late 80’s and early 90’s lent itself to hot wings so much so that ranch is now synonymous with hot wings and blue cheese is usually only served by request. At times it can feel like the traditional Buffalo wing is being forgotten amongst a glut of trendy sauces and cooking methods, but for many in America there is no other way to experience a “hot wing” than to eat a Buffalo wing. We can’t help but agree.